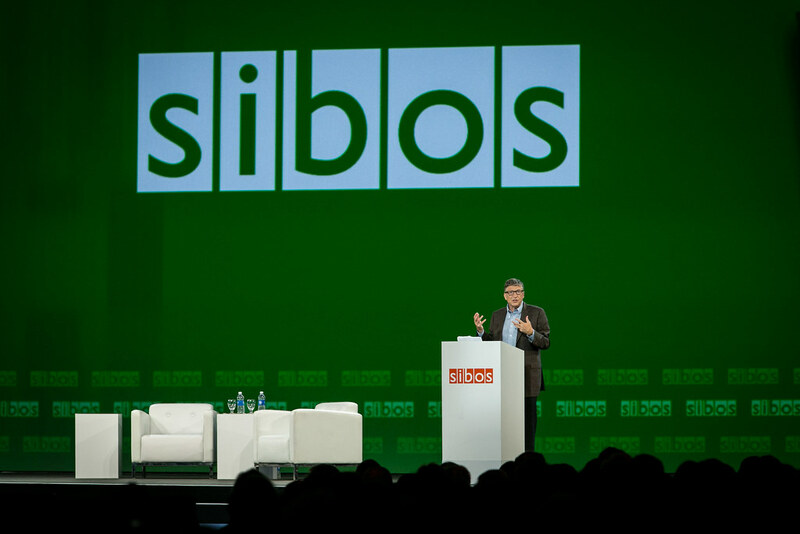 Sibos 2014 closed with a keynote speech from Bill Gates, who famously branded banks 'dinosaurs' 20 years ago. There were also concluding comments and reviews of the week from the various forums and streams. Here are the highlights from day four. Bill Gates has the final word: The main event of the closing plenary was the keynote speech from Bill Gates, on behalf of the Bill Gates Foundation, who called on the banks in attendance to embrace the financially excluded (the '$5 customer'), saying that they were key to the future of the financial services industry and by proxy infrastructures such as Swift. He estimated that two billion new customers would be brought into the economy over the next decade. He talked about the potential for affordable payments in emerging markets, and criticised the high costs of microcredit transactions, which was an area of focus for the Bill Gates Foundation. 'Transactions will be digital, universal and almost free,' he prophesied. There were also contributions from a range of talking heads from Swift, with Chris Church, CEO of Americas and global head of securities, summing up the key themes of the conference by saying that 'we have no choice but to collaborate to tackle the tsunami of regulation'. Standard deviation: Continuing the theme of industry collaboration, there was an extensive review of the legal entity identifier (LEI) project at the closing of the Standards Forum, which focused on the progress of the initiative to date. The forum was surrounded by shipping containers, as a reminder of one of the most famous global standards projects, which involved creating common standards for shipping containers to be carried on rail, ship and lorry. Paul Janssens, product manager for reference data at Swift, alluded to the relative success of the LEI to date. There are now 17 local operating units (LOUs) distributing identifier codes around the globe, said Matthew Reed, the chairman of the regulatory oversight committee (ROC) responsible for the project. Reed explained that the ROC now has a clear mandate to ensure best practices and high quality of data, but stressed that it still has a clear goal to ensure that the new standard achieves ubiquity and to better understand who owns who in the counterparty chain. There was also an explanation by Gerard Hartsink, chairman of the Global Legal Entity Identifier Foundation (GLEIF), about how the database and infrastructure would be funded. Users who need an LEI will pay their LOU a fee of $200, plus a $100 yearly maintenance charge. There was also further guidance on whether there could be a regulatory mandate for LEI standards. Reed stressed that whilst there was no legal framework in place, the regulatory requirements were now demanding LEI registration for any counterpart involved in a financial transaction. That alone would give widespread coverage if there are enough regional adopters. The Standards Forum closed with a panel session looking at how standards have evolved over the last few years and what more Swift needs to do in this space. Taylor Bodman, head of information systems and technology services at Brown Brothers Harriman, urged Swift to take control of standards in the securities space and create greater transparency. He remarked 'if data is an asset like money, we need to get control of it'.